I’m happy to live during the times when wine is getting more and more popular – at least if you look at the wineries popping up all over the place, everywhere in the world, new wines coming out from the places where grapes were never planted before, and winemakers everywhere experimenting with new grapes, new tools (when did ceramic egg became “the thing”, huh? ), and new styles (bourbon barrel-aged wine, anyone)? There is a tremendous amount of information available to the wine lovers everywhere, so I wanted to bring to your attention some of the latest news and developments in the world of wine which I found the most interesting. There seems to be quite a bit of research pointing to the health benefits of the moderate wine consumption. More often than not, the health benefit is attributed to the red wine, not so much to the white, Rosé or Champagne. And then we also heard a famous story about Marilyn Monroe taking a Champagne bath (it supposedly took 350 bottles to fill the bathtub). What’s the connection, you ask? Based on the research conducted at Dartmouth University, it appears that Marilyn Monroe was onto something – the Champagne, with its high acidity and tiny persistent bubbles, has a great refreshing effect on the skin, so the 30 minutes bath is highly beneficial and rival most of the known skin rejuvenation treatments in its efficiency. Moving from theory to the practice, Veuve Cliquot, the leading Champagne producer, teamed up with Elizabeth Arden, leading American cosmetics and skin care company, to start offering Champagne treatments at select Red Door spa locations. The price is set for $10,000 for the 30 minutes, and the first 6 months of the appointments were booked within first 30 minutes of the initial offering. First trials at the spa showed excellent results and produced many happy clients. The only challenge? Someone has to constantly watch over the clients and remind them to drink Champagne only from the glass in the hand instead of taking the “deep dives” with their mouth open. Otherwise, the offering had been extremely successful and Veuve Cliquot is even considering to start offering treatments using La Grand Dame, but the pricing had not been unveiled yet. There are no limits to the winemaking innovations today – aging wines in ceramic eggs and old bourbon barrels, mixing wine and coffee, filtering wines with the beer hops – bare mention of any of these would make winemakers and wine lovers cringe merely 10 years ago – but it is the norm today. Taking winemaking innovation to the next level, BrewDog out of the UK, the legendary producer of the world’s strongest beer (Tactical Nuclear Penguin clocks whooping 32% ABV), teamed up with the Australian winemaking legend, Penfolds, to produce the world’s strongest wine. The wine, called Penge Royal, uses the production methods of the Tactical Nuclear Penguin and Penfold’s flagship wine, Penfolds Grange. After aging the wine for 3 years in the old Scotch barrels, it then spends 60 days at the -32°C, and at the end of that period, reaches 70% ABV, beating most of the Absinthe on the market. It seems that the wine nicely preserves the flavor profile of Grange, but packs a substantial punch – as you would expect. The wine initially will only be available at the select markets in Australia and the UK, with the prices set at $5,000 per bottle. There were only 10 cases of 375 ml bottles produced, and they were all sold out immediately upon the offering. Would love to taste the Penge Royal one day, but getting one would not be easy. I’m sure you heard about the so-called AI – Artificial Intelligence, and the robots, which will replace humans in pretty much everything we, humans, do. Going beyond the robot bartenders turns out that winemaking is also not immune to the automation and robot’s onslaught. The research team at Oxford University was working for the past two years on creating a robot which will be able to inspect the vineyards and decide on the day of the harvest, make all the decisions at the winery (how long fermentation should take, what strain of yeast to use, how and for how long to age wine, and also how to blend the final product). The project ran into an unexpected issue of many (if not most) of the winemakers not willing to share their knowledge, or even deliberately providing wrong information (no, you can’t wait until -10°C to harvest the Cabernet Sauvignon). Also, first results of blending by the winemaking robot were rather disastrous, with the resulting wine been completely not drinkable, not deserving even to be called a “plonk”. Hopefully the situation will change for the better, and the scientist will be able to make some progress, but for now, we will have to continue trusting humans to have a drinkable wine on the table. If you are a serious wine enthusiast, I’m sure you run into this dilemma an uncounted number of time – I’m going to the dinner, should I wear a perfume? The perfume would interfere with the smell of wine and get in the way of truly appreciating it, both for oneself and for the people around us, right? The designers at Chanel, a leading French fashion house, set out to help all of us, oenophiles, to solve this dilemma and let us feel good about ourselves while going to a party while not disrupting the sensual pleasures of wine. Chanel’s designers created a new line of perfume specifically for the wine lovers, called W by Coco. The 3 years of experiments and hard work which went into the creation of W by Coco resulted in the perfume which offers a refreshing scent of the perfectly balanced wine, helping you to greatly accentuate aromas of the wine you are about to taste. All the Bordeaux First Growth producers supported the research, and as the result, the W by Coco line includes five different fragrances, one for each of the first growth Chateaux – Château Latour, Château Lafite Rothschild, Château Margaux, Château Haut-Brion and Château Mouton Rothschild. The fragrances available exclusively at Chanel boutiques in Paris, New York, Singapore and Tokyo and will cost wine lovers $450 for 30 ml. Reportedly, Château d’Yquem, Petrus, and Screaming Eagle all lined up to be included into the second release of the W by Coco line, but the date for the second release had not been confirmed yet. Capitalizing on the popularity of the wine, literally every self-respecting brand is involved in the wine business, whether it is private label wines, special releases or simply store-branded lines of products – I’m sure you all had Kirkland wines, Trader Joe’s wines, Wine Farmer line at Whole Foods and more – never mind wine retailers such as Total Wines who offers thousands of private label wines in their “Winery Direct” program. Yes, we all know that and are usually not surprised by those private label wines. However, Walmart, the largest in the world retailer of discounted goods, managed to surprise everyone (and I meant it), by unveiling their partnership with none less than Old Rip Van Winkle, the producer of the most thought-after bourbon in the world. It appears that two of the iconic American companies joined forces to offer whiskey aficionados two new bourbons – Old Rip Wal Winkle 10 years old and Wal Winkle Special Reserve. The pricing and availability will be announced later, but it is expected that both whiskeys will appear in Walmart stores in the USA only at the beginning of 2019. Walmart shoppers and whiskey lovers, rejoice! That’s all I have for you, my friends. Cheers! Is there a person in this world who doesn’t like puzzles? You can save the “duh” exclamation for later – I’m sure there are some people who don’t, but an absolute majority enjoys the puzzles of some sort, whether expressed in the form of words, numbers, colorful picture pieces, link chains or whatever else. So what if I tell you that you will be given a hundred of random pieces – not just you, but a group of people will receive a hundred of totally random pieces, but they all would have to build exactly one and the same picture out of those 100 random pieces – would you like to take part in such a challenge? Do you think you would be up for it? While you still considering if you are up for a challenge, you are probably also wondering how puzzles relate to the wine and what you are still doing reading this nonsense where you were looking for the information on the wine, plain and simple. Actually, it appears that this type of puzzle with random pieces but the same resulting picture has very direct relationship with the world of wine. Not necessarily with the whole of it, but definitely with one of the most noble parts – the Champagne. If you ever read the story of Benedictine monk Dom Perignon, often credited with creation of Champagne (”come quickly, I am drinking the stars”), many wine historians agree that major Dom Perignon achievement is not creation of Champagne itself, but perfection of the art of blending. If you think about it, blending resembles the process of putting together puzzle pieces. And to complete the picture, take a look at the description of any of the Champagne made by so called Champagne Houses – Veuve Clicquot, Moèt and Chandon, Bollinger, Perrie-Jouiet and hundreds of others – they all talk about a “signature taste” of their Champagne House, which is painstaking maintained exactly the same through the hundreds of vintages. While I knew about significance of blending in production of Champagne, I never understood a true scale of an effort. A month ago (almost two month by the time I was able to finish this writing), I was lucky enough to attend a first ever Vins Clairs (give a few seconds – I will explain what this is) tasting hosted by the Champagne House of Piper-Heidsieck and Terlato Imports in the US – well, it was simply first ever Vins Clairs tasting conducted outside of France. The event was led by Régis Camus, Chef de Cave and Winemaker for Piper-Heidsick. And yes, we spent time learning about puzzles. All grapes used in production of Champagne come from 320 different vineyards, which are also called CRUs. Out of those 320, only 17 have a status of Grand Crus – as they produce distinctly better grapes. Just to give you few more fun numbers – there are about 19,000 grape growers in Champagne, out of which only about 2,100 produce their own wine. 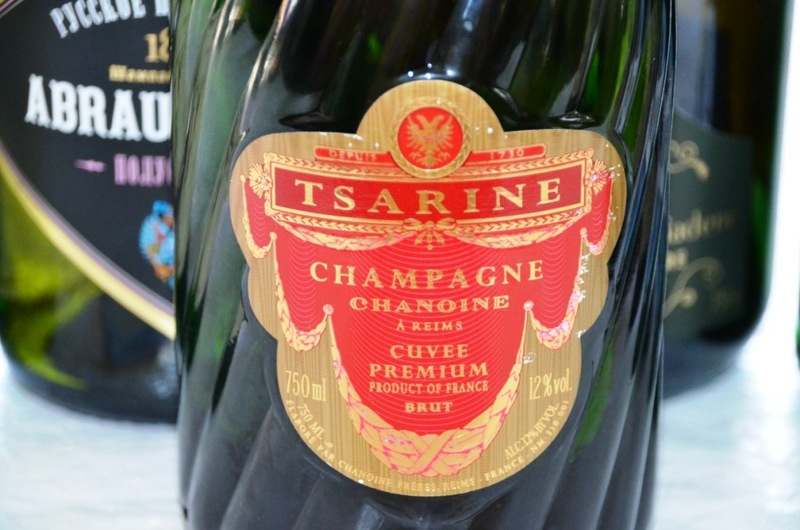 There are also about 50,000 Champagne labels – which, of course, explains that it is always possible to come across a champagne bottle you never saw before. But let’s get to our puzzle, as we still need to solve it. Every year, the grapes are harvested (just a quick reminder – there are 7 grapes allowed to be used in Champagne, but only 3 – Chardonnay, Pinot Noir and Pinot Meunier are really used), pressed and fermented into the still wine, same as it would be done with any other wines – with the exception of color – red grapes, such as Pinot Noir and Pinot Meunier, still produce clear juice if not kept in contact with skins, and this is what typically done in production of Champagne – unless Rosé is in the making. Once fermented, these still wines now become foundation of Champagne, known as Vins Clairs. As common with any still wines, the year is a year is a year – every year is unique and different. If the year was great, let’s say, for Chardonnay, the Chardonnay Vins Clairs will become a Reserve wine and will rightfully occupy the place in the cellar. If the year was just okay, the wine, of course, will be used, but will not be cellared for long. If the year was terrible, the wine simply might not be produced. But it is okay – remember, we got lots of pieces to play with. 2014 Chardonnay Avize – Avize village is in the center of Côtes de Blanc, and it is one of the 17 Grand Crus. Straw pale color. Beautiful nose, minerality, fresh, citrus. Clean acidity on the palate, green apple, nice acidic finish. This wine was mostly used for vintage and reserve wines, and will be a part of non-vintage champagne in 5–6 years down the road. 2014 Pinot Noir Verzy – Verzy is also one of the 17 Grand Crus. Light golden color. Interesting nose, mostly white fruit, very serious acidity, lemon/lime level, very interesting. I would have to agree on structure. In a blind tasting I would say Muscadet. 2014 Pinot Meunier Ecueil (fleshy and fruity, red grape with white juice). Light golden color. Brings in fresh fruit to the blend. White fruit on the nose. Pinot Meunier rarely used for reserve wines. Still acidity, but acidity of the fruit, more of the green apples. 2009 Chardonnay Avize very interesting color – green into golden. Beautiful minerality, classic Chablis gunflint. Delicious. Creamy, medium body, white fruit, restrained acidity, long finish. I would gladly drink this wine by itself. 2008 Pinot Noir Verzy color similar to Chardonnay – green-golden. White fruit on the nose with touch of minerality. A bit more fruit on the palate, but still extremely pronounced acidity. 2014 Assemblage Piper-Heidsieck – blend of 2014 (90%) and reserve wines (10%) – darkest color of all, beautiful nose with yeastiness, and fresh bread, good minerality. One would never guess that you can get that from individual wines. Color came from the fact that the wine was not stabilized yet. Delicious overall, excellent acidity. 55% Pinot Noir, 15% Chardonnay, the rest is Pinot Meunière. There are 100–110 crus in this final assemblage, and the work on it was finished very recently. This wine was bottled in 2015, and will be released in 2018. Someone asked if it is possible that the puzzle will not be solved in some years. Régis Camus gave us a little smirk, and said that no, this is not possible – the puzzle will be always solved. What can I tell you? This was definitely an eye-opening experience – we were allowed to touch the magic, the magic of creation of one of the most revered wines in the world, and it definitely exceeded my expectations. At this point, I was part exhausted, part excited, and stopped taking notes – I can only tell you that 2006 Brut and Rosé Sauvage were two of my favorites, but I would have to leave it only at that. Here you go, my friends – the magic of Champagne, a puzzle of a hundred pieces – but the puzzle which is always solved. The New Year is almost here, and of course it calls for a perfect bottle of Champagne – but even if not a New Year, we can simply celebrate life, and every day is a good day for that. Pour yourself a glass of sparkles and let’s drink to the magic, and life. Cheers! Let’s start with the answer to the wine quiz #98, Grape Trivia – Blends, Part 2. For the long time, the grape trivia series was focused on the single grapes. But now we are stirring things up, so all the questions in the quiz are about blends (well, even if it is a blend of one ), as most of the wines in the world are actually blends. As usual, there were 5 questions in the quiz. Q1: This grape was created as a cross between Cinsaut and Pinot Noir. Can you name the grape? b. What wine is made most often by blending some of these grapes? Q3: Which grape is missing? A3: Mazuelo. This is the list of the grapes typically blended in production of the Rioja wines. Q4: This dry red wine from California is related to famous Caymus, and made out of the unknown, secret blend of grapes. Can you name this wine? A4: Conundrum. The famous Caymus wines are made by Wagner family in California. The same Wagner family produces the wine called Conundrum, both white and red, where the exact composition of the blend of grapes is kept secret. Q5: Carménère to Merlot is the same as Douce Noir to ? A5: Bonarda/Charbono. Carménère grape (originally from Bordeaux), was mistaken for Merlot for the very long time in Chile. Similarly, the popular Argentinian grape Bonarda, which happened to be identical to the Charbono grape in US, was actually the almost forgotten french grape called Douce Noir in Savoie region. When it comes to the results, I’m glad to report that again there was good participation in the quiz. We also have a winner – Wayward Wine , who correctly answered all 5 questions, and thus gets the coveted prize of unlimited bragging rights. Jeff the drunken cyclist and Suzanne of apuginthekitchen get honorable mention for correctly answering 4 questions out of 5. Well done all! WTSO is on it again- the time has come for the famous Wine Til Sold Out Marathon! Mark April 22nd in your calendar – it will be go big or go home day – WTSO Magnum Marathon. Starting from 7 AM Eastern until midnight, WTSO will be offering wines in the 1.5L or 3L format. Each wine will be available for 30 minutes or until it will be sold out. All new wines will be announced only on Twitter, so make sure you follow @WTSO if you want to get real time notifications about new wines. Do you like Malbec? There is a good chance you do, as many other people around the world. Just two easy references for you – shipments of Argentinian Malbec to US increased from 1.9 million cases in 2008, to over 4 million in 2013. Argentinian wines are also most popular wines among people of 25-34 years old in UK – for more interesting details on Argentinian Malbec, here is an article for you to read. Why all of a sudden we are talking about Malbec in the news section? Because tomorrow, April 17th, is Malbec World Day! Get the bottle of your favorite Malbec, pour the glass and join the celebration! Oh yes, and don’t forget to tweet about your favorite Malbec using the #MalbecWorldDay hashtag. With hundreds of thousands of different wines produced around the world every year, we need to have some guidance as to what is new, what might worth our attention, what might not. This is where the wine critics come into a play – to help us navigate that ocean of wine by writing the wine reviews and rating the wines. Here comes an interesting question – can the wine critic be 100% objective, or can her work be influenced by personal preferences? 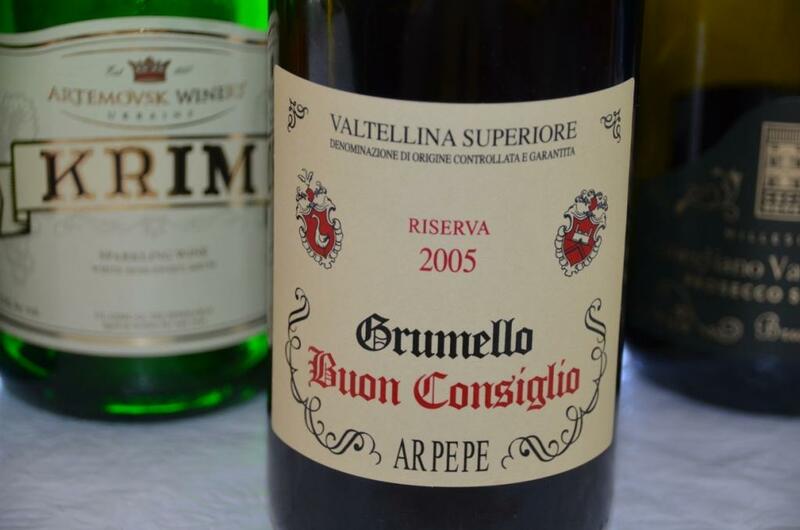 Here is an interesting post on Jamie Goode’s wine blog, which raises this question – be sure to read the post and all the comments, it is quite a lively discussion. Few more updates regarding the #winechat (if you are not familiar with the concept of #winechat, here is the blog post which will explain it). Last Wednesday, the #winechat was focused on Lenné Estate Pinot Noir from Yamhill-Carlton AVA in Oregon. Continuing the Oregon Pinot Noir theme, the subject of tonight’s #winechat is biodynamics of Youngberg Hill vineyards. The next week’s #winechat subject is wines of J Wrigley Vineyards from Willamette Valley in Oregon. All #winechat take place on twitter on Wednesdays at 6 PM Pacific/9 PM Eastern time. You can always participate using the #winechat hashtag. Join the conversation, it is fun! My brain is limited – it can only support one obsession at a time. Generally, this blog wins, but last month I got hooked on the Doctor Who series (yes, I’m a science fiction junkie), and over the last couple of days, the Doctor Who was clearly winning over the blog writing, as I couldn’t stop watching. Taking the obsession under control, I will try to switch some attention to this beloved blog. New Year’s day is a Sparkling wine time for me. It doesn’t have to be Champagne, but bubbles are indispensable part of the welcoming the New Year. And then January 1st is generally the day of bubbles – we have friends coming over for the small dinner and lots of bubbles on that first day of the New Year. 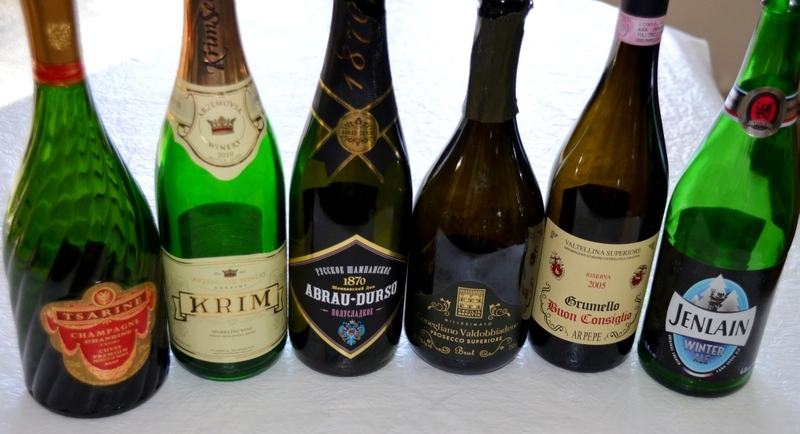 The 2014 was not an exception at all – so here are some of the Sparkling wines which added sparkle to our celebration. 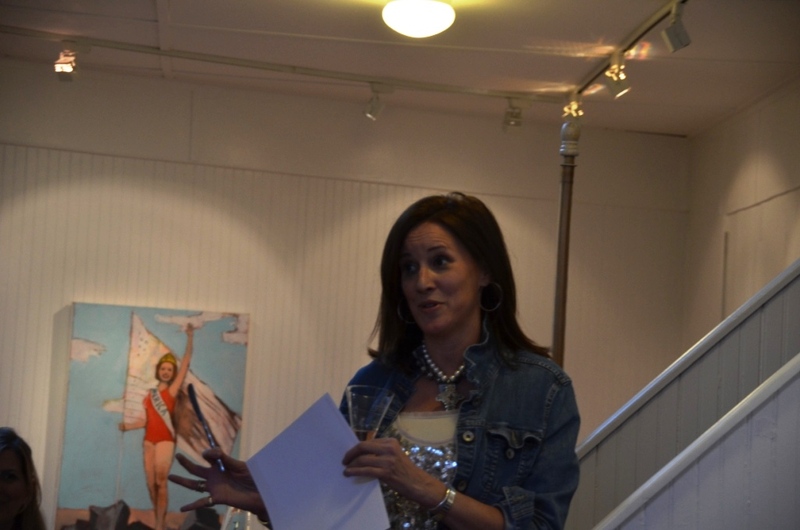 Oh yes, of course there were few other things to drink besides the sparkling wines. If you look at the picture above, down on the right you will see… yes, this is beer! Somehow, I felt compelled to include it into the wine line up, as I was drinking it while we were cooking the day before the New Year. Also, when I see a French beer, there is almost a calling in my head “ahh, French beer, I must try it”. This was Brasserie Duyck Jenlain Winter Ale, a seasonal brew from France, produced using three French barley malts and three varieties of the most aromatic hops from Alsace (according to the back label). In style it was an Amber Ale, so it was round and delicate, with a spicy nose and very easy to drink, without any bite – in general Amber is one of my favorite beer styles, right next to the Porter. And then, of course, there was food – I will give you just a few pictures – lots of traditional Russian style dishes – cold cuts, red caviar, salads, lots of pickled vegetables. I might share some recipes later on. New Year’s table should look bright! That concludes my report on our New Year’s extravaganza. Cheers! Did you know that every last Friday in October now has a designated “wine holiday”? Yep, and not just any wine holiday – it is actually a Global Champagne Day (Champagne and Friday perfectly go together, don’t they?) My “problem” (may all of our problems be so hard) of choosing the bottle of Champagne to open to celebrate Global Champagne Day last Friday was taken care of by invitation I got from Henri’s Reserve – to come and celebrate Champagne Day in style at Southport Galleries in Connecticut. Henri’s Reserve is a boutique Champagne purveyor, primarily focusing on the small, artisanal Champagne producers. Most of the common Champagne people buy in the stores come from so called Champagne Houses, such as Moët & Chandon, Bollinger, Louis Roederer, Veuve Cliquot and many others. For the most part, Champagne houses buy the grapes from the grape growers, and make (blend) their wines to have a persistent, chateau-specific taste. At the same time, a number of grape growers (there are about 19,000 of them in Champagne) also produce their own wines. Until recently, those wines were literally impossible to find outside of France – but over the last 5-7 years, the situation changed and so called Growers Champagne became more available in US and other countries. You might ask what is so special about Growers Champagne? While Champagne houses are mostly focused on blending to achieve their house-specific taste, growers are a lot more terroir-driven. Growers know their best vineyards and best parcels inside those vineyards, and that knowledge translates into unique wines with the sense of place – often at a lot more affordable price than the wine coming from the big houses. To give you one example, one of my favorite Champagnes from this tasting, Egly-Ouriet Grand Cru, comes form the village of Ambonnay. One of the most exclusive Champagne houses in the world, Krug, also produces the wine from the vineyards in the Ambonnay village. That Krug wine, called Clos de Ambonnay, would set you back at around $2700 per bottle (probably the most expensive Champagne on the market). While I’m not comparing Egly-Ouriet Champagne with Krug (never tasted Clos de Ambonnay), it costs almost 40 times less that that bottle of Krug, and at around $70, it is really an excellent Champagne. Getting back to Henri’s Reserve – they actually make the Growers Champagnes available to the average wine consumer. If you look at Henri’s Reserve web site, you will find a lot of useful information about Champagne in general, pairing of Champagne with the food, how to open the Champagne bottle, entertaining with Champagne and a lot more. What is most important, though, is that you will be able to buy some of those excellent growers Champagnes. Now, let’s talk about our Global Champagne Day celebration. We had an opportunity to try 9 different Grower Champagnes. I didn’t focus on taking the detailed notes, as I was very busy mingling, so below is the list of the wines we tried with my brief notes. Don’t worry, it will be easy to figure out if I had any favorites. 2002 H. Blin Blin’s Brut Edition Limitée Millésimé (40% Pinot Meunier, 30% Pinot Noir, 30% Chardonnay) – this wine was the last one in the tasting, and it didn’t reach the optimal serving temperature, unfortunately (was too warm). I have a confession to make. I’m not a Champagne guy. I appreciate a glass of a good bubbly, whether it is Champagne, or Prosecco, or Cava – but Sparkling wine is not my usual daily wine. Having said that, you know what happened after this tasting? I was craving Champagne! I resolve not to wait until the next Global Champagne Day to satisfy that craving – and you might expect to see more sparkles in this blog. Thank you, Henri’s Reserve, for the great time! Cheers!